Oregano, whose botanical name is Oreganum vulgare, is a Greek word which means “mountain of joy”. This healing herb has been used in the Mediterranean region for centuries as a natural antibiotic and even Hippocrates is said to have used it to treat abdominal pain. Oregano is a member of the mint family and it has been proven to reduce allergies, control hay fever and treat infections caused by bacteria and viruses. This healing botanical also has anticancer effects and anti-Candida properties which make it a vital ingredient for the Candida diet! A study found that oregano inhibited the growth of Candida albicans (1). It was even found to be effective against strains that were resistant to the prescription antifungal medication fluconazole (2). These effects of oregano are attributed to two compounds known as carvacrol and thymol which react with the water that is present in the blood to dehydrate and kill the Candida. A study found that oregano oil had antibacterial activity against Escherichia coli (3). This bacteria is one of the common causes of gastroenteritis or infections of the intestines that usually require antibiotics for treatment. By decreasing the number of E. coli and preventing their growth, oregano can reduce the need for taking antibiotics which aid Candida colonization by destroying the good gut bacteria together with the E. coli. Oregano has anti-inflammatory properties (4). This makes it useful for managing the chronic inflammation that is associated with Candida overgrowth. Adding oregano to your diet can also prevent Candida colonization since inflammation in the intestines contributes to the leaky gut syndrome that helps Candida cross into the bloodstream from the intestines. Oregano also has antioxidant properties (5) which enable it to reduce the harmful effects of inflammation in the body. Oregano is used to reduce bloating and heartburn. 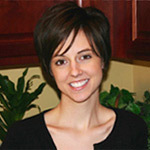 This makes it beneficial for controlling these symptoms in persons who develop them as a result of Candida overgrowth. 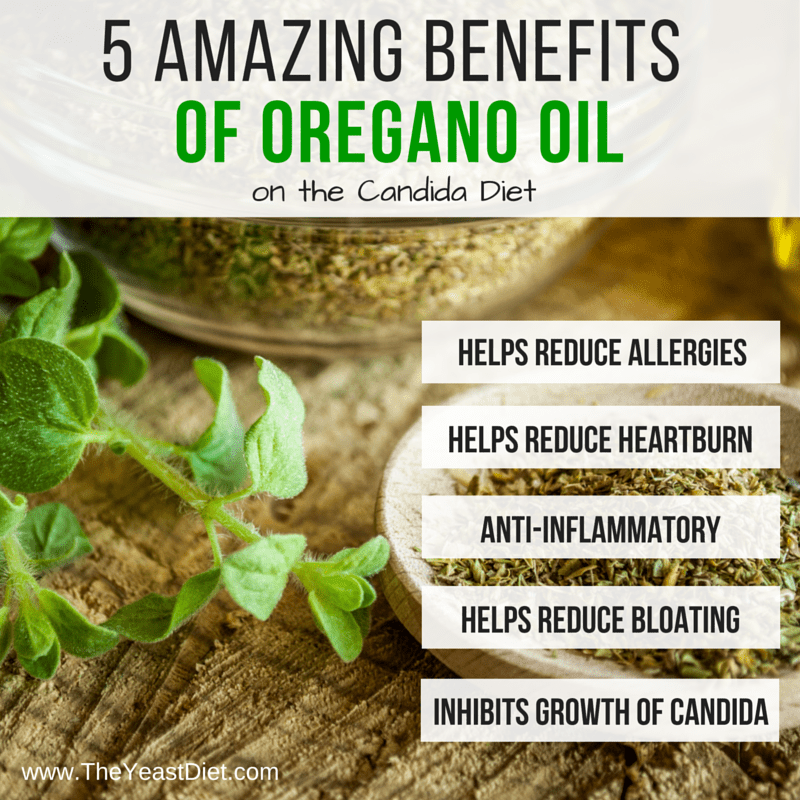 To reap these Candida healing benefits, buy good quality oregano oil that contains around 70% of carvacrol since this is the active ingredient. Begin by taking 3 drops mixed with water twice a day and gradually increase your intake until you are consuming 6 drops twice a day. Ensure that you mix the oregano oil drops with a full glass of water to prevent developing burning sensations in your mouth. You can also mix them with coconut oil before consumption. You can also take oregano softgels and the suggested starting dose is one softgel with 230 mg of oregano oil taken after a meal each day. This should be increased to two softgels which should be taken until the infection clears. You can also drink oregano tea but it is not as potent as the oil. To brew your cup, steep 1 teaspoon of oregano leaves in 1 cup of boiling water for 10 to 15 minutes. Find ways to use oregano in your Candida Diet recipes as a healthy and delicious flavoring supplement in daily meals. Though it is said that Candida does not develop resistance to oregano, it is best to be on the safe side and reduce its chances of adapting to oregano by consuming the herb when it is mixed with other botanicals that have antifungal properties like cumin (6), garlic, sage, cinnamon and cloves. Persons who develop Candida infections of the skin can also mix a few drops of oregano oil with coconut oil and apply it to the lesions. Oregano oil is essentially safe but some people develop allergic reactions which manifest as skin rashes. This tends to happen to persons who are allergic to plants of the Lamiaceae family that includes rosemary, lavender, thyme, basil, hyssop, mint, sage and marjoram. Persons with diabetes should use oregano cautiously since it can lower blood glucose levels. 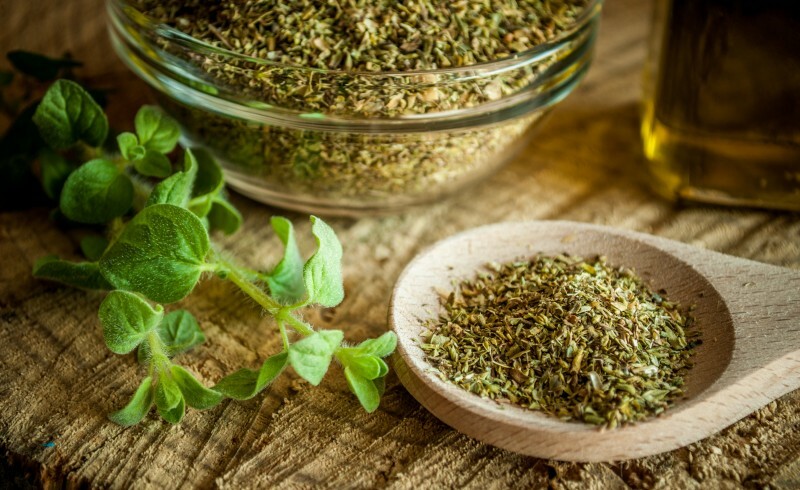 Persons taking lithium which is used to treat manic depressive disorders should also avoid using oregano since it can interact with the medication and cause serious adverse effects. Persons with bleeding disorders like hemophilia as well as those taking blood-thinning medications like warfarin (Coumadin), clopidogrel (Plavix) and aspirin should only take medicinal amounts of oregano after consulting their doctor since it can cause bleeding. Pregnant women should also steer clear from taking medicinal amounts of oregano since it can increase blood flow to the uterus, weaken the lining around the baby and cause miscarriages. Feel free to share this infographic on the benefits of oregano with your friends and family who may not be aware of the amazing benefits of this powerful herb!